Share the post "The Layout Manager: GridBag Layout"
This layout one of the complex layout manager but very powerful. A constraint should be define to layout the components properly. means that layout the component starting from 0 in x-coordinate. 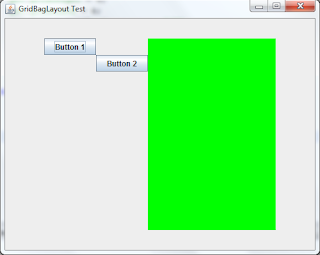 means that layout the component starting from 0 in y-coordinate. means that this component will allocate 1 cell in height. means that this component will allocate 1 cell in width. means to fill all the cells horizontally and vertically. add the component with the constraints that we defined.